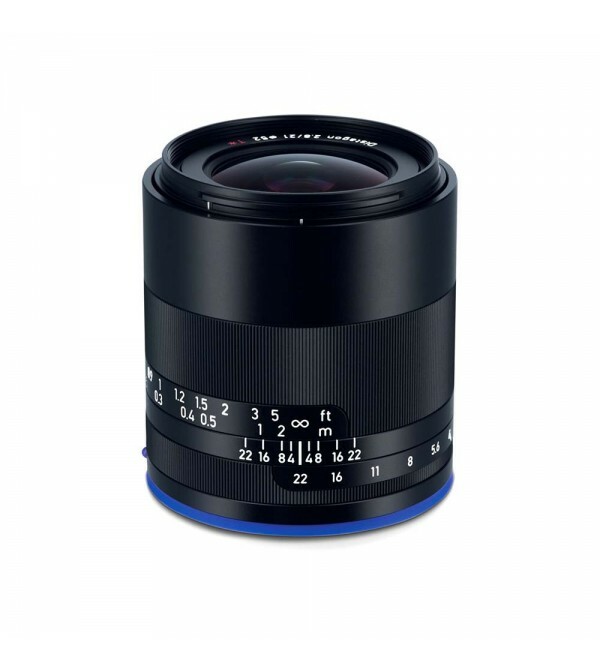 · Prime wide-angle lens is designed specifically for full-frame E mount mirrorless cameras, however can also be used on APS-C models where it will provide a 31.5mm equivalent focal length. · Bright f/2.8 maximum aperture permits working in low-light conditions and also helps to maintain the compact overall form factor of the lens. · Based on the Distagon optical concept, this lens delivers virtually distortion-free performance that pairs well with the broad angle of view. · Four anomalous partial dispersion elements and one aspherical element combine to limit chromatic and spherical aberrations for cleaner, sharper image quality. · Zeiss T* anti-reflective coatings have been applied to each lens surface to help minimize reflections in order to provide greater image clarity, contrast and color fidelity. · Manual focus design is accentuated by a knurled metal focusing ring, 90° focus ring rotational angle, and engraved depth of field and distance scale markings. · The manual aperture ring can be mechanically 'de-clicked' for smooth, silent rotation throughout the aperture range; making it ideal for video applications. · The lens mount is fitted with an electronic interface that conveys all lens EXIF data to the camera and can also be configured to automatically activate the camera's focusing magnification function when turning the focus ring. 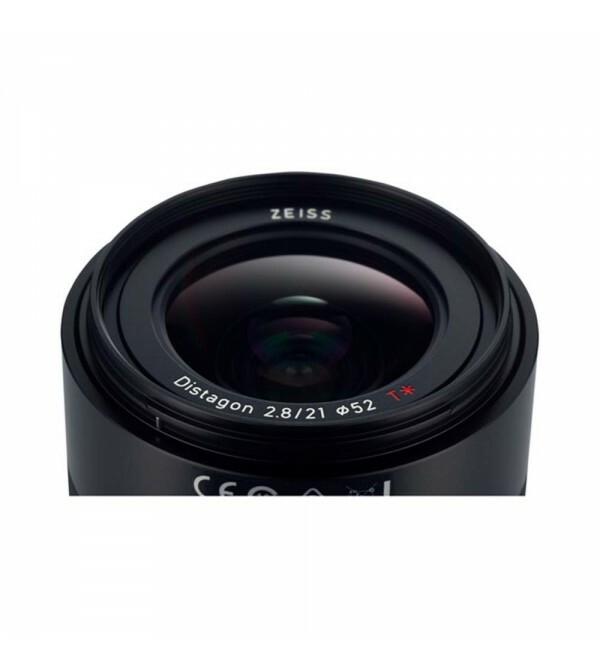 · An all-metal lens barrel is fitted with a weather-resistant gasket at the lens mount to protect against moisture and dust from reaching the image sensor or rear lens element.